No, dogs are not colorblind in the sense that they see more than just black, white, and gray. However, the color range they perceive is limited compared to the spectrum we see. To put it in very basic terms, the canine color field consists mostly of yellows, blues, and violets. “Human” reds, greens, and oranges are not distinguishable to dogs and instead appear somewhere on their yellow to blue spectrum. The reason? The retina of both species contains two types of photoreceptors, rods and cones. The human eye, however, contains more types of cones while the canine eye has more rods and no fovea, which is responsible for sharp visual detail in humans. 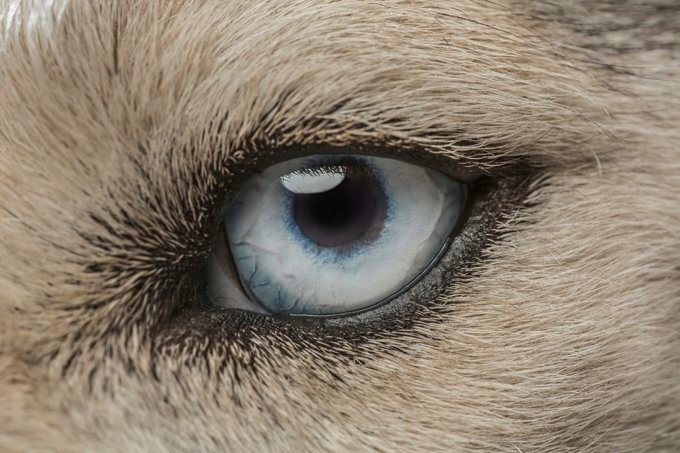 The result is that dogs have superior night vision and are better at tracking movement than we are, but see fewer colors and shapes and objects appear in much less detail. The bottom line is that tossing an orange ball onto green grass may look like yellow against yellow to your dog, but his acute motion-detection ability will help him fetch it anyway.